Provide comfort for the family of William Almony with a meaningful gesture of sympathy. On Wednesday, January 2nd, 2019 William “Butch” Clinton Almony, beloved friend and loving brother passed away at age 60. Butch was born in Fort Sill, OK to Leslie and Elizabeth Almony. After the passing of his father, Butch’s mother remarried, Richard Terry Sr. Shortly after their marriage, Butch became an older brother when Richard Terry Jr. and Mona Terry Torres were born. After Butch graduated from Saks High School in Anniston, AL the family moved to Woodstock, GA where Butch attended Kennesaw University. Butch lived most of his life in Woodstock, GA until 6 years ago when he moved to Joshua, TX. Butch was a Millwright by trade and a certified welder. Butch worked for Southeastern Carpenters Millwrights 1263 for several years in Kennesaw, GA. Butch most recently continued his Millwright and welding career at North Texas Millwrights local 1421 near his home in Joshua, TX. He was passionate about his work and enjoyed making new friends and traveling. One of Butch’s favorite pastimes was his love for horses. 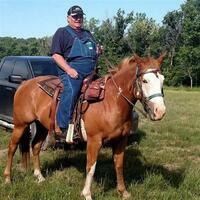 Whether Butch was caring for them or taking them on a trail ride, this was a true joy for him. Butch’s love for horses included movies and re-enactments. Butch did re-enactments for the civil war, and was involved in the making of the Rambo movies. Butch was also a talented artist and musician. Butch played the trombone, piano, and guitar. Butch’s infectious smile and personality drew you in and left you wanting more. It was truly a blessing to call him a brother and friend. Butch is survived by his brother Richard Terry Jr. & wife Debbie; his sister Mona Terry Torres & husband Dwayne Torres; his four nieces Amanda Guttmann, Alyssa Torres, Danyell Torres, & Macy Terry; one nephew Wesley Terry; and five great nieces and nephews Kylee, Brielle, Zoie, Peyton, and Brooklynn. Butch was preceded in death by his father Leslie Almony, mother and stepfather Elizabeth & Richard Terry Sr., and grandparents Mr. & Mrs. Bob Butler and Mr. & Mrs. Herbert Terry. Butch’s service will take place Saturday, April 6th, 2019 at Dryden Funeral Home in Heflin, AL. The family will receive friends and family at 10am and proceed to the chapel at 11am for the service. To send flowers in memory of William Clinton Almony, please visit our Heartfelt Sympathies Store. 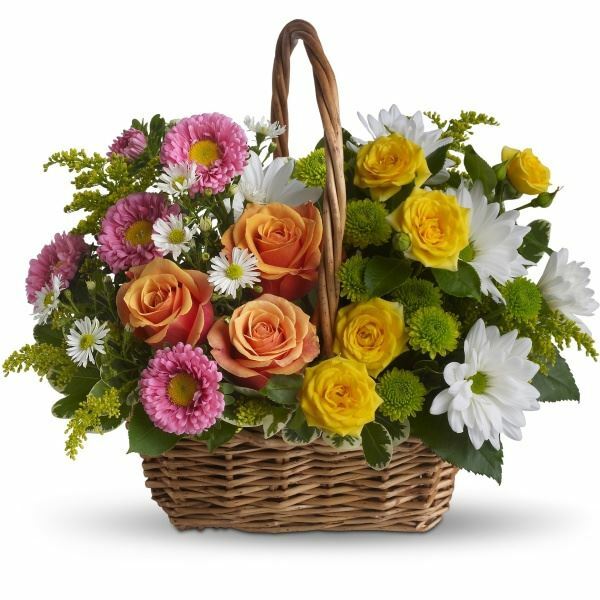 Provide comfort for the family of William Clinton Almony by sending flowers. Heartfelt Sympathies Store purchased the Sweet Tranquility Basket for the family of William Almony. Too many memories to share. I know my heart is broken from the loss of him. I loved him and miss him so much! Thank you for being an awesome uncle, Uncle Butch! Love you! Fly high and watch over us!